The Holidays are here. Black Friday and Cyber Monday specials are calling your name. You've already been thinking it's about time for a new computer. The old one just doesn't seem as fast as it used to be and it's showing signs of being overworked. So it's decided - time to get a new computer! I can hear those butterflies pitter-pattering in your stomach already. Now all you've got to do is pick already! Easier said than done, right? Well fear not, Dear Reader, I'll give you some direction. Let's face the facts - most of you already know if you're a Mac or a PC. It's like dog people vs. cat people. You're really either one or the other. Both platforms do pretty much the same things today. Macs are obviously much more stylish, but more expensive, as are the peripherals and software. PCs on the other hand certainly cost much less, but they are prone to viruses. If you do go with PC, make sure you get a solid, commercial Anti-Virus program such as the award-winning Kaspersky Anti-Virus (just my personal pick - there are a few other good ones out there). So now that you've got that covered, time to decide one more thing: Desktop or Laptop. Now the majority of systems we see here in our West Hollywood computer repair shop are laptops. That's not a coincidence. Laptops are much more prone to have problems, BUT it's simply the trade off for mobility. So now you've got to decide what features you really need. Now a lot of this will be determined by your budget, so once you've got that figured out it'll narrow down your choices significantly. Just figure for an entry level PC (laptop or desktop) you'll come in at around $300-500, ,mid-level run's $500-$700, and higher end machines go $700 and up. If you want a Mac, it'll cost you more than double. Seriously though, the entry level Mac Mini runs around $600 and you still need to buy a Monitor, Mouse, and Keyboard. The entry level Macbook is $1,000.00, and it only goes up from there. If you need a basic computer to do a little web browsing, email, connect work on some office documents, and maybe do some online video conferencing like Skype or Google Voice, something in the entry to mid level computers should suit you just fine. Just make sure you get a webcam if you're planning on doing any video conferencing. Now if you want something to do all of that stuff, just faster, along with maybe playing some entry level games and maybe run a little photoshop of video editing, something in the mid to higher end is what you'll be looking for. If you're an avid gamer, or heavy video/photo editor you're going for the high end. Make sure to get a top-shelf video card and load up on the RAM while you're at it. The video camp is probably going to lean Mac and the gamers are PC all the way. Then you've got to consider the add-ons. For all the complaints about Apple and their pricing, Macs come pretty well loaded. Mac OS X comes with a great backup utility in Time Machine, bluetooth comes standard on all Macs, and the iLife suite handles most of your basic photo, video, and music needs. Apple's Time Machine also is about as excellent a bundled backup program as you can ask for. With a PC, make sure you get a good Anti-Virus and a solid backup software program such as Acronis True Image. Get yourself an external hard drive to back up your data, and the best $5/month you'll ever send is on an online backup service such as Mozy. There you have it. A blueprint if you will. 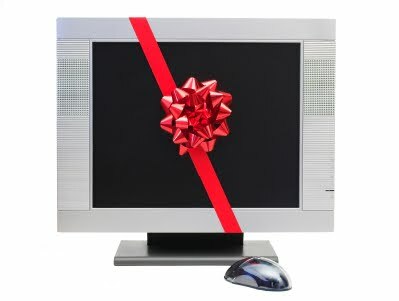 Getting a new computer couldn't be easier (or less expensive) than it is today. Get an idea of what you'd like to spend and the kind of performance you're looking for and the decision will be easy. If you've got questions, just ask your friendly neighborhood computer guy. Like many a customer has told me, if they knew a new computer would give them such a significant improvement, they'd have upgraded much sooner.